South African – and international – consumers have a growing appetite for new and exciting tech features that make their lives easier and give them more options for everything from entertainment to home automation. A leading entertainment company, Netflix has embraced this, building on existing technology and introducing a number of new features to personalise members’ entertainment experience and make streaming easier and more accessible. So, what kind of cutting-edge technology is behind the easy-to-use service that enables members to watch as much as they want, whenever they want, wherever they are, on nearly any Internet-connected screen? Here are four of the most on-trend features that have kept Netflix members coming back for more. To ensure seamless playback, at the highest quality, Netflix uses an adaptive streaming engine. This means that the service automatically adapts its processes to members’ internet capacity – so there’s none of that annoying buffering which was synonymous with video streaming years ago. 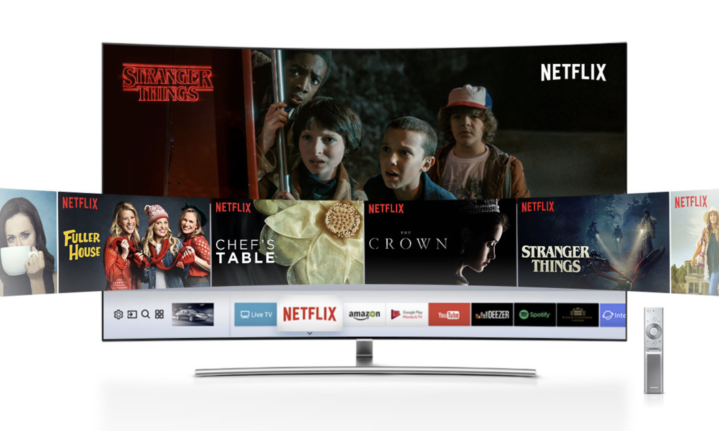 For members with HD TVs, viewing quality can be further enhanced by streaming in HD as many of the live-action Netflix originals are shot in 4K. Netflix has been one of the global technology companies pioneering the use of a recommendation system. The service uses members’ interactions with the service to help provide great recommendations on what to watch next – at any moment. These personalised viewing options make it easy for members to find movies and TV shows most relevant to them and their current mood. For those who like to indulge in entertainment while on the go, Netflix also offers a Download function which allows users to download shows to watch offline later. Launched in 2018 and available on Android smartphones and tablets, the Netflix Smart Downloads feature automatically deletes downloaded content once a member has finished watching it. It also starts downloading the next episode so that there is no waiting around between episodes. Netflix members who do not have access to a smart TV but who still want to catch up on their favourite Netflix shows on their TV can use Google Chromecast to link their Netflix directly to the big screen from their smartphone, tablet or computer. Once the Netflix app is connected to Chromecast, the chosen device (smartphone, tablet or computer) acts as the remote control – to pause, rewind, browse and select shows to enjoy. Netflix is always looking for new and exciting ways to enhance members’ viewing experience and, in the midst of the digital age, the service recognises that leading the adoption and development of the latest innovations is a must. Netflix has introduced PIN parental control for individual movies and series to give parents and guardians more specific control over what children can watch on the service. Every family has different opinions on what they deem appropriate for their children to watch. While Netflix already provides PIN protection for all content at a particular maturity level, PIN protection for a specific series or film provides families with an additional tool to keep kids safe.